When many people think of Walt Disney World, they might automatically think mainly of families with young children who primarily travel to the vacation destination thanks to its array of activities that are fun for guests of all ages. While it is certainly true that many families travel to the Walt Disney World Resort each year, it can also be a wonderful vacation location for couples who are looking to enjoy some fun through attractions, entertainment, and much more. Just because Walt Disney World is a family friendly location does not mean that couples who travel there can’t find some romance, especially when it comes to dining. Many dining locations are open for lunch each day, making it a great time to stop and enjoy a delicious meal before relaxing for a few hours and then spending the night in a Disney park. From signature dining locations to more laid back meals, there are plenty of great options to enjoy. Here are ten great lunch options for couples to enjoy on any Walt Disney World vacation. The Canada Pavilion in Epcot’s World Showcase is home to a wonderful full service dining location that brings some of the country’s charm to life. Le Cellier Steakhouse invites guests to dine in what feels like a cozy wine cellar with low vaulted ceilings, warm lighting, and amazing food. With a menu that focuses on steakhouse classics with Canadian flavors, couples are sure to love amazing options such as the Canadian Cheddar Cheese Soup, Prince Edward Island Mussels, Le Cellier Filet Mignon, Lobster Pot Pie, Maple Brined Airline Chicken Breast, and Red Wine Braised Lamb Shank. 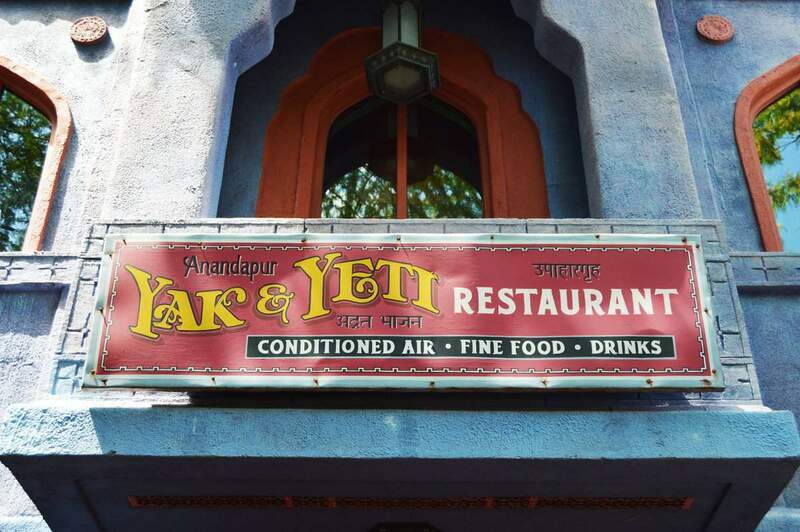 Couples who spend time enjoying the beautiful areas of Disney’s Animal Kingdom are sure to love an amazing full service restaurant that is open daily for both lunch and dinner. The Yak & Yeti Restaurant is situated in the Asia section of the park and serves up pan-Asian cuisine in a beautiful setting that is filled with artwork and artifacts from Southeast Asia. Couples will love some of the extensive options offered for lunch including the Pork Egg Rolls, Wonton Soup, Seared Tuna Salad, Pork Belly Ramen, Seared Miso Salmon, Bhaktapur Duck, Chicken Tikka Masala, and more. Couples who are looking for a more laid back full service lunch can head over to Disney’s Beach Club Resort for a fun filled location that transports them back to a classic seaside diner in the 1950s. Beaches & Cream Soda Shop serves up American grill classics and decadent desserts that couples will love sharing together. Some of the location’s popular lunch options include items such as the Angus Beef Burger, Country-Fried Steak, Reuben Sandwich, Veggie Burger, Cheese and Bacon Fries, Strawberry Shortcake, and Ice Cream Soda. Disney Springs is a popular destination for couples who travel to Walt Disney World as there are many amazing restaurants to enjoy that offer up a wide array of cuisine. 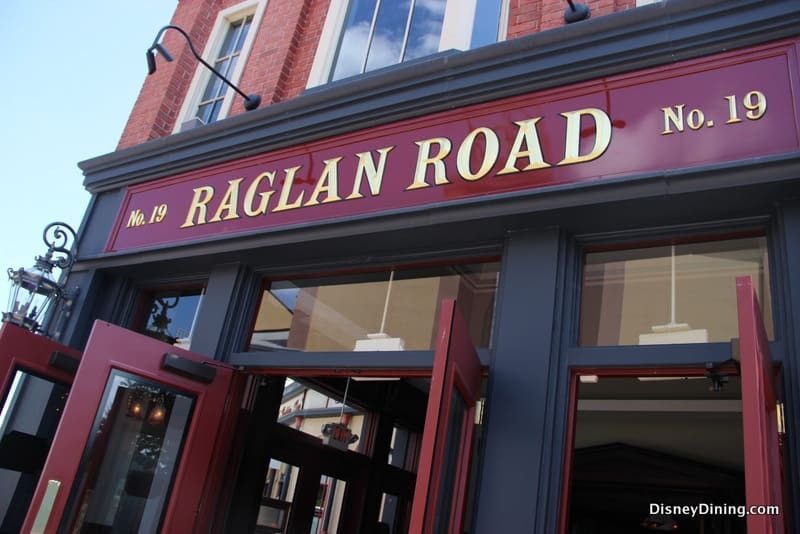 Raglan Road Irish Pub and Restaurant serves up modern cuisine in a lively atmosphere that features live music, Irish Step Dancers, and lots of energy. Open daily for both lunch and dinner, couples will enjoy delicious menu options such as the Scallop Forest, Pork Hashtagged, Burger ‘R’ Way, Fish & Chips, Pie in the Sky, Boaring Burger, and Bangin’ angers & Mighty Mash. While spending time in the Magic Kingdom, couples can head over to Adventureland to enjoy a unique dining location that serves up delicious meals with the spirit of the Jungle Cruise. The Jungle Navigation Co. LTD Skipper Canteen is run by the skippers from the Jungle Cruise and celebrates exotic flavors from around the world on a fun-filled menu. Couples will definitely enjoy indulging in lunch options including the Shiriki Noodle Salad, Falls Family Falafel, Curried Vegetable Crew Stew, Whole Fried Fish, Dr. Falls’ Signature Grilled Steak, and Sankuru Sadie’s Seafood Stew. 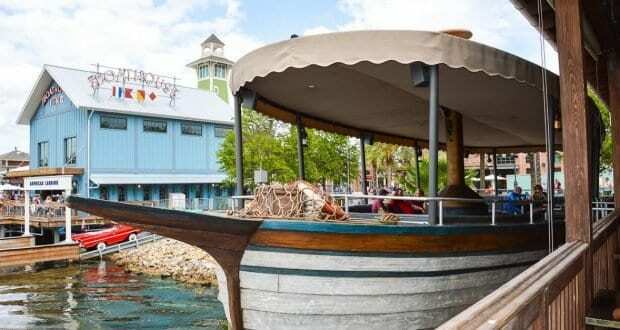 The Landing area of Disney Springs is home to some picturesque views of the nearby water, some of which can be enjoyed from a full service dining location that offers up amazing meals for lunch and dinner. 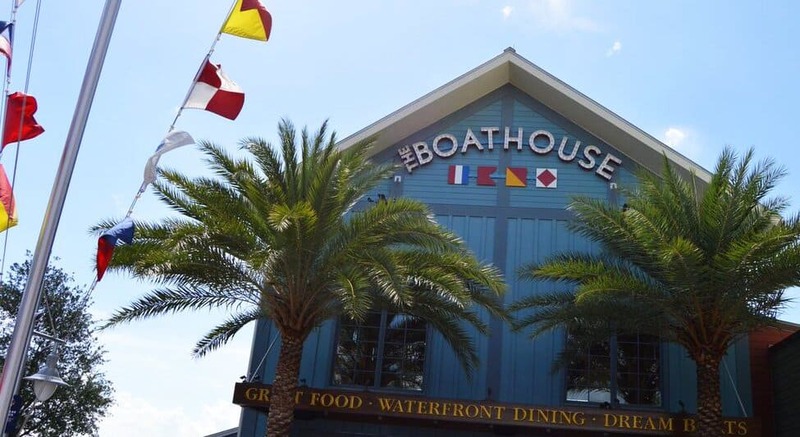 The Boathouse serves up a fresh menu inspired by surf and turf and Florida flavors and ingredients. With nautical details, beautiful views, and an extensive menu, couples will enjoy ordering lunch options such as the Jumbo Lump Crab and Avocado, Yellowfin Tuna Poke, Grilled Wild Mahi Mahi Tacos, New England Sea Scallops, “Yacht Club” Club, Filet Mignon, and NY Steak & Fries. Also found in the Landing area of Disney Springs is another wonderful dining location that couples will love visiting for lunch. Chef Art Smith’s Homecomin’ features a menu of comfort food classics infused with the fresh flavors of Florida, all served up in a warm and inviting atmosphere. With plenty of options that are good enough to share, couples will definitely enjoy choices such as the Bunch of Puppies, Church Lady Deviled Eggs, Cuban Sandwich, Fried Chicken Sandwich, Fried Catfish, Braised Short Ribs, and Grilled Pork Chop. 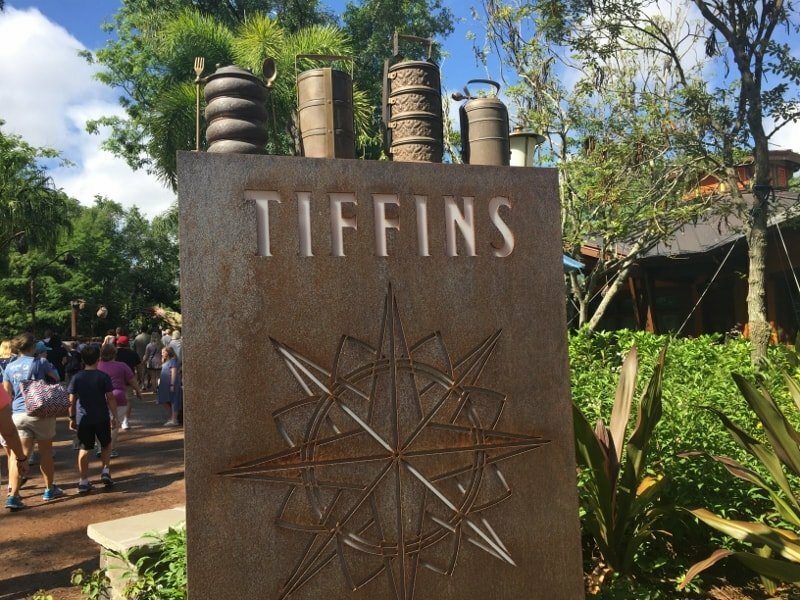 Disney’s Animal Kingdom is home to a relatively new dining location that is open daily for both lunch and dinner and is situated on the bridge that connects Discovery Island and Pandora – The World of Avatar. Tiffins Restaurant celebrates travel and the tremendous adventures that can occur across the globe through exotic and delicious cuisine. Some popular lunch options that couples can enjoy are the Spiced Chickpea Falafel, Surf and Turf, Shrimp and Grits, Pan-Seared Alaskan Halibut, Braised Lamb Shank, Crispy Sadza, and Chicken and Waffle. A lively location in Epcot’s World Showcase that couples can enjoy also includes amazing views of World Showcase Lagoon. The Rose & Crown Dining Room invites guests to dine in what feels like a cozy British pub that is always brimming with energy thanks to the busy crowd at the bar itself. The lunch menu at the Rose & Crown Dining Room features pub classics such as a Scotch Egg, Fish and Chips, Welsh Pub Burger, Shepard’s Pie, Chicken Masala Curry, and Bangers and Mash that couples are sure to love! 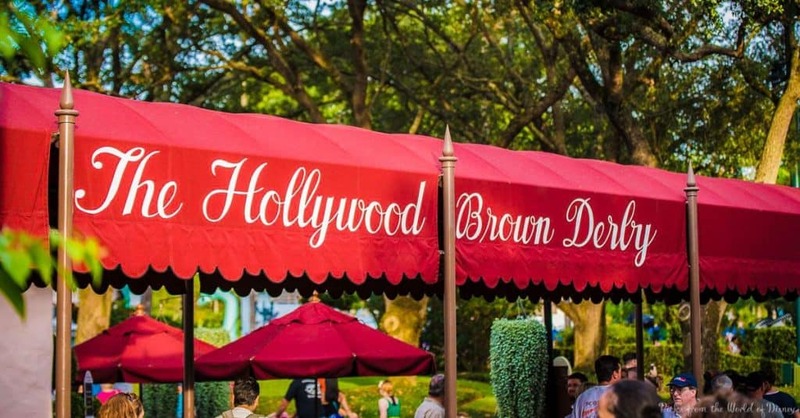 Disney’s Hollywood Studios is home to an amazing signature dining experience that invites couples to indulge in contemporary American cuisine while feeling as though they have truly traveled to Hollywood. The Hollywood Brown Derby features classic architecture and walls lined with caricature sketches of famous individuals which couples can enjoy while digging into popular lunch options including the Beef Carpaccio, Curried Butternut Squash Soup, Braised Beef Short Rib, Black Grouper and Lobster Cioppino, Bell & Evans Chicken Breast, Charred Filet of Beef, and Grilled Wagyu Beef Burger.